I talk a lot about having M.E. and Functional Neurological Disorder and Hypermobility Spectrum Disorder (my main three illnesses that leave me the most disabled) here on my blog to try and raise awareness of what these illnesses really are and my life living with them, but truth is outwardly I'm ashamed because of how misunderstood these illnesses are. Often I just say I have hypermobility/connective tissue problems and some neurological disorders. There's a lot of stigma around these illnesses. M.E. is often portrayed as a "just feeling tired" illness when in reality it's much more than that and the 'just feeling tired' can leave me in bed unable to move without a lot of effort. FND is portrayed as a psychosomatic illness or that I'm feigning my symptoms or that attention or drug seeing; like how can anyone fake a seizure for several hours - like my brother once told an A&E Dr I'd need to win and Oscars' to put on a tonic-clonic seizure like the one I was presenting with. And HSD is seen as 'way less severe than Ehlers-Danlos Syndrome' and one person commented online that is doesn't matter if people get wrongly misdiagnosed with HSD. Wrong! HSD can be as severe as hEDS, we just don't have all the symptoms for the new diagnostic criteria but I still regularly dislocated joints and have intestinal dysmotility and other complications and I've developed secondary debilitating conditions such as POTS. Yet why do I still feel ashamed? 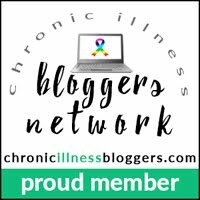 Because of other people, not just by care professional but by others in the chronic illness community. There should be no hierarchy of illnesses, whatever your diagnosis we are all equal, we have all had our lives turned upside-down we are all plagued by daily disabling symptoms wondering "why me?". No one, especially someone with a chronic illness should put another person with an illness down or see their illness as "worse" than another persons. Care professionals should take the time to update their knowledge on a person's illness, or refer to their specialist consultant. Often this can be hard, especially in situations like A&E but it doesn't take 5 minutes to ask the person to explain their illness rather than jumping to judgements like a person is feigning their symptoms. I can easy explain what M.E., FND and HSD is in a clinical way that makes my real illness a real illness and if I'm unable to I carry information on me that explains them for me. Every illness/disabilty is equal and devastating. I shouldn't be made to feel ashamed of the illnesses I have.